Austria's government changed tack once again on Tuesday on the disputed issue of a Good Friday holiday, reversing a decision taken only last week. The government had initially said that in order to comply with a European Court of Justice ruling that found it was discriminatory to offer the holiday only to members of certain Christian churches, in future everyone would be able to leave work at 2pm on that day. However, that decision met with almost universal irritation and on Tuesday the government said in a statement that from now on those who wanted the day off would have to ask for it as a "personal holiday". Bishop Michel Buenker from the Lutheran Church - one of those whose adherents were previously entitled to a full day off - called the new plan a "positive solution" but said there was a "sour note" in the fact that "this holiday will have to be taken from the existing holiday quota" of individual employees. Labour representatives condemned the government's change of heart, with the Workers' Chamber (AK) calling it a "slap in the face for workers". "This is a one-sided solution that only protects business, and which shows a lack of respect towards workers," AK President Renate Anderl said in a statement. Good Friday is the day on which Christians mark the crucifixion of Jesus Christ before his resurrection on Easter Sunday. 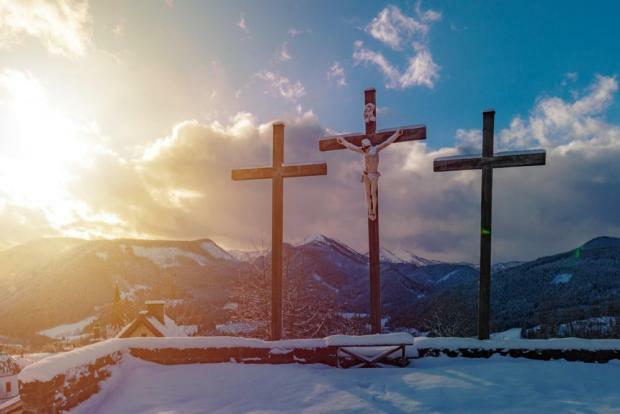 Last month the European Court of Justice ruled that Austria was wrong to make Good Friday a public holiday only for members of certain Christian churches.